I learned to sew around age ten, and I started with clothing. My mom sewed all of my Dad’s shirts, most of my sister and my clothes, and many of my three brother’s shirts. She also re-upholstered furniture, made curtains, made doll clothing, did mending and alterations for friends and neighbors, made I-don’t-know-how-many plaid uniform skirts for girls from our grade school and our high school… and I picked up her love of all things textile early on. I begged to go along to the fabric shop with her, and picked out patterns and fabric before I ever learned to make things myself. Funny, though, my sister never had any interest; still doesn’t. As my sister says, “why do I need to know how to sew, if I need something done, I can just ask you or Mom.” She has a good point. It’s not like we’ve ever said no to her. 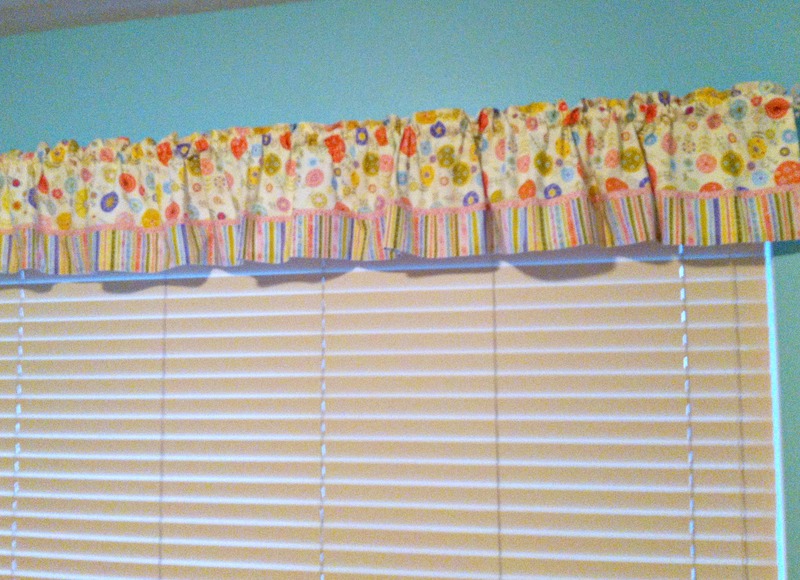 This week I made a valance for her youngest, my sweetie pie niece, Zoe Grace. She’s the doll I made the owl pillow for, and there is a quilt in the works to match the valance and pillow. She has a butterfly garland on order for the walls, and other butterfly decor plans. And these curtain rod finials are just too cute! I can’t talk her momma into it, but maybe I’ll get lucky and Zoe Grace will want to learn how to sew one day! 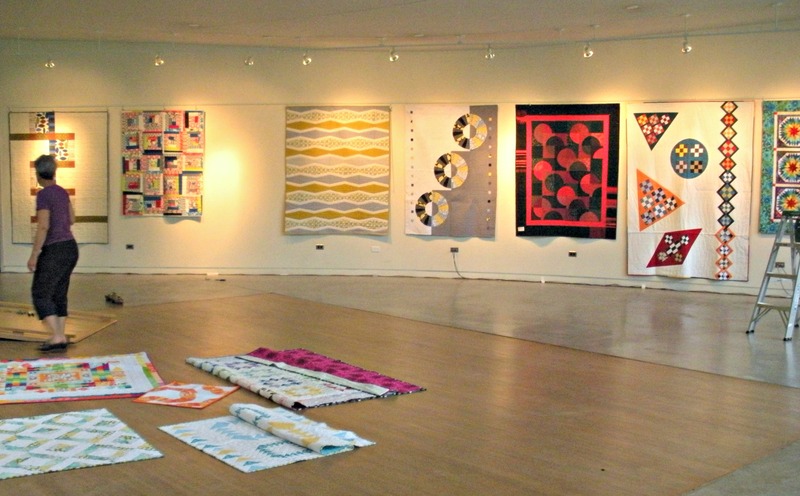 June has been a bust month for our chapter of the Modern Quilt Guild… my house was one of the drop off points for entries to go into our first local Modern Quilt show! 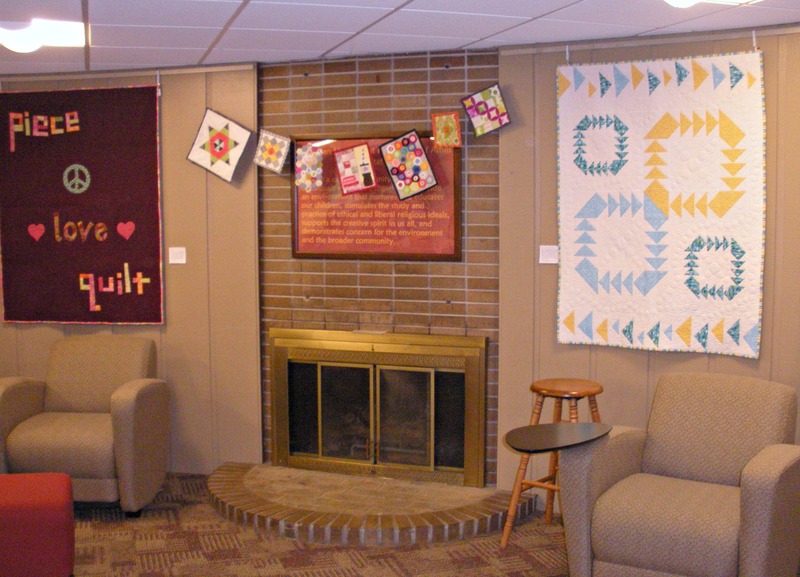 On the 15th, my husband and I drove to Ames with the entries and met up with Jill of Modern Quilt Relish, and Greta, the curator at the gallery. 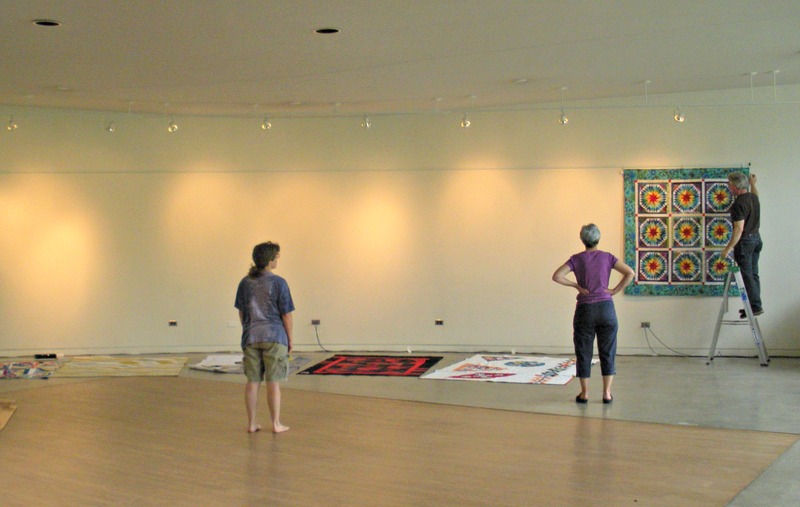 Two hours later, we had the show hung! This last Sunday evening we had an artist’s reception, and several of us collaborated to give an impromptu Gallery Talk with Q&A. 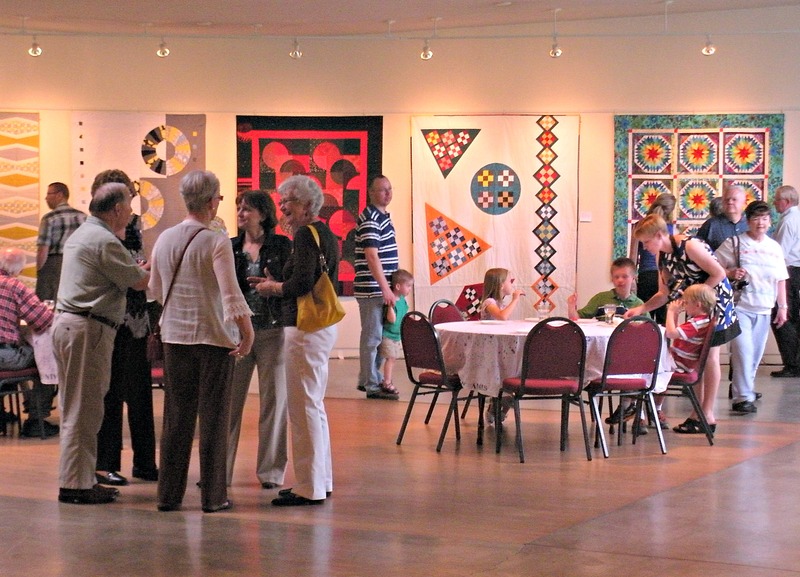 We were incredibly pleased to have such a good turn out to our gallery opening! 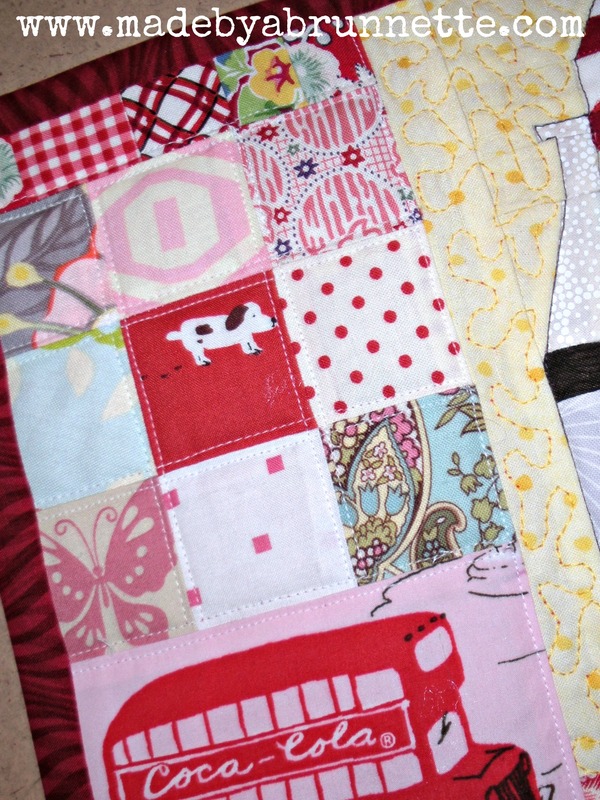 It’s looking really good so far, a friend of mine is quilting it for us on her long arm. 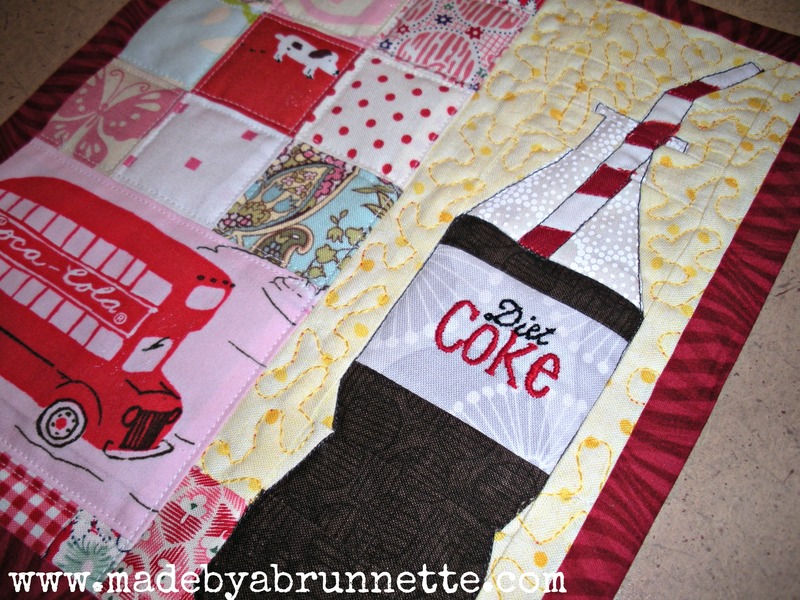 I’ll be sure to show you the finished quilt! and in a perennial garden? Almost a necessity for me! 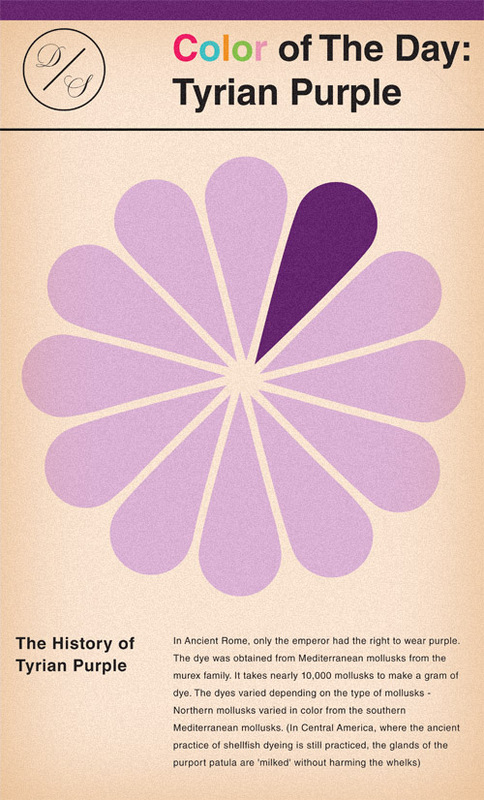 I have crocuses and hyacinth blooming in my yard right now. 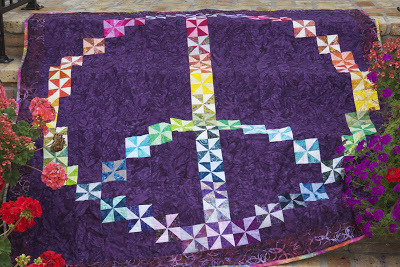 I had a part in making this gorgeous purple and grey quilt, and I even had a hard time parting with it! So what’s your color? 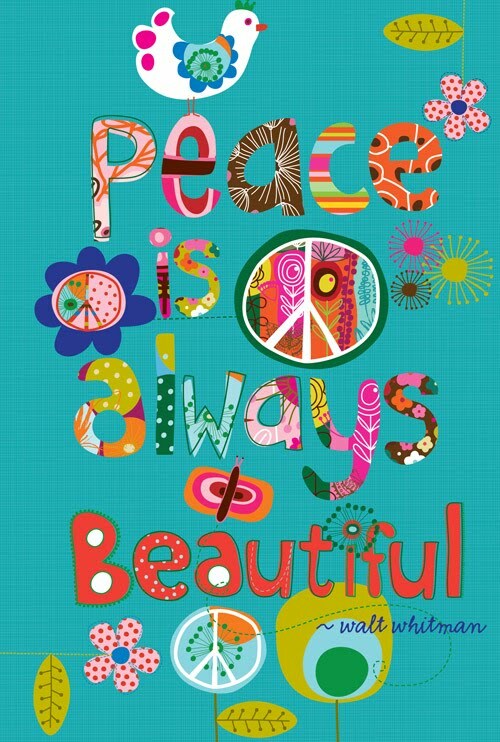 The one that just doesn’t draw you in? What color do you buy the most often (in fabric or other products)? Mine has to be green, hands down I have more greens and blue-greens (aqua, etc) than any other color of fabric. (I couldn’t resist, I’m a bit of an Elvis fanatic). 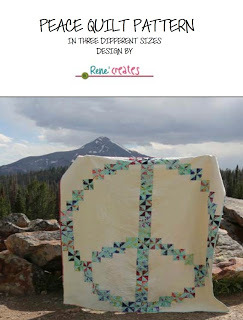 It’s my day to share my version of Rene’s Peace Quilt Pattern! Rene is one of my Grubers Retreat buddies, she lives in Florida, and spends time in the Montana mountains, where I suspect she travels to just to get awesome quilt photo backdrops. Seriously, though, she is a genuine and generous friend ~ and as it turns out, a pretty good pattern writer! I love how the purple background fabric sets off the spectrum of pinwheel colors! 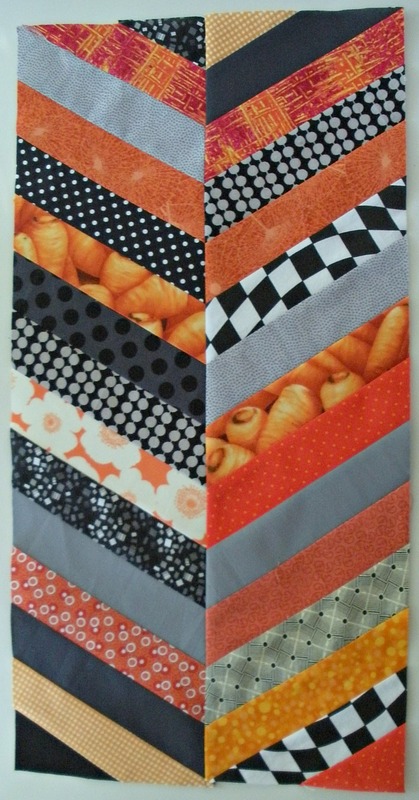 The pattern is written for three sizes, with the pinwheel blocks adding another design option. 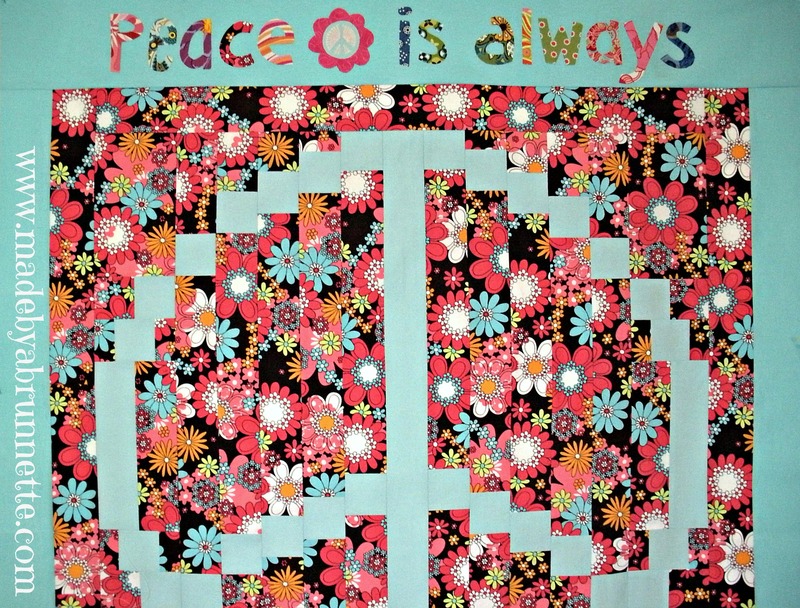 I made the Baby size (30″ x 30″) and decided to make my background the stand-out fabric (“Peace Flowers” by Michael Miller), which in turn, makes the aqua blue Kona Cotton peace sign POP! (sorry, we still have Winter grey skies in Iowa, so these are the best photos I could get with my Ott-Lite straining to provide some “sun light”). 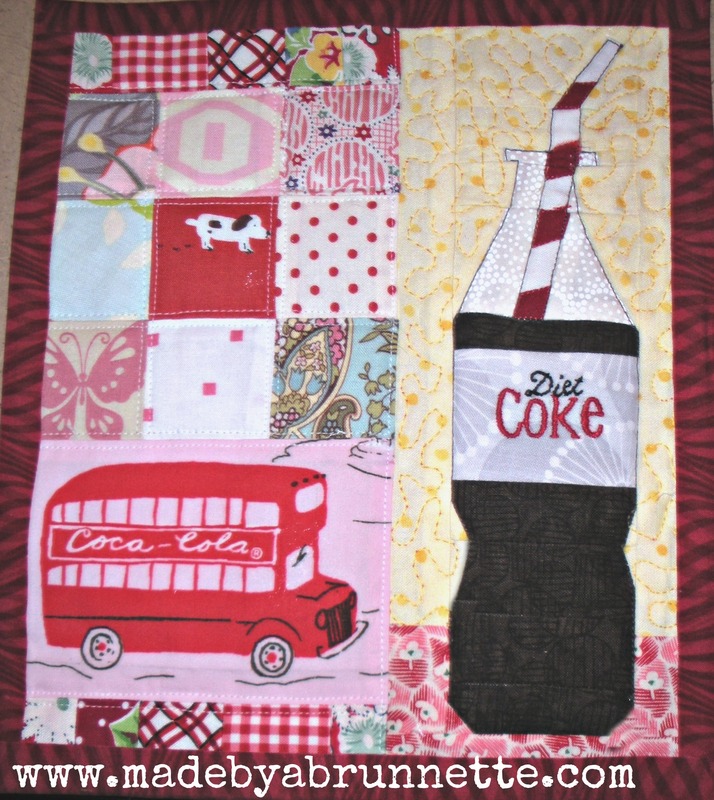 Eventually, I think this quilt top needs some utility quilting, perle cotton style; and I know a girl who would love this, so I may add some blocks and make it into a twin size quilt. Stay tuned, it remains to be seen. 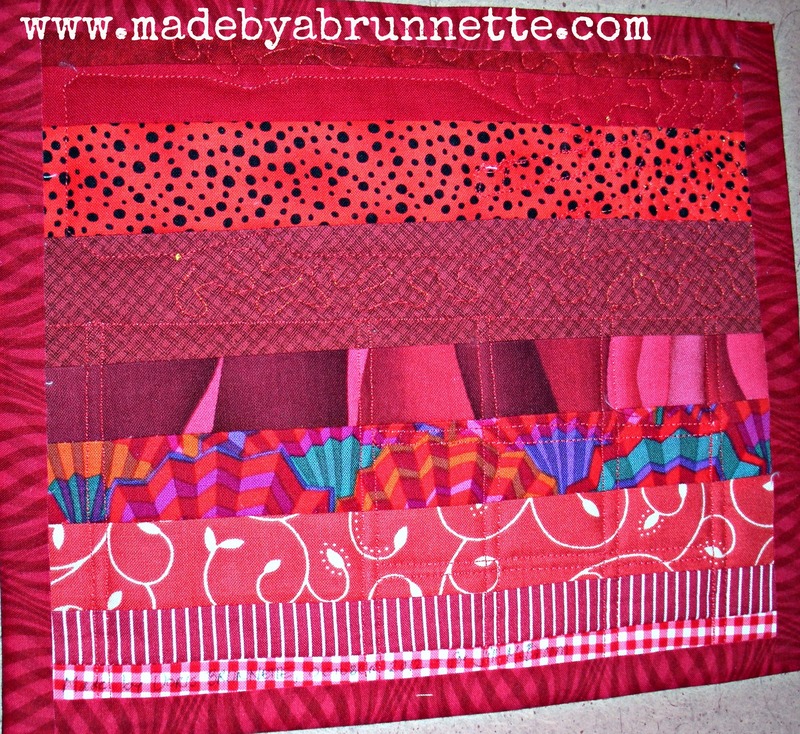 The pattern is laid out in vertical strips, and provides very clear, easy-to-follow diagrams for piecing it together. I cut it out and pieced it together in one day. 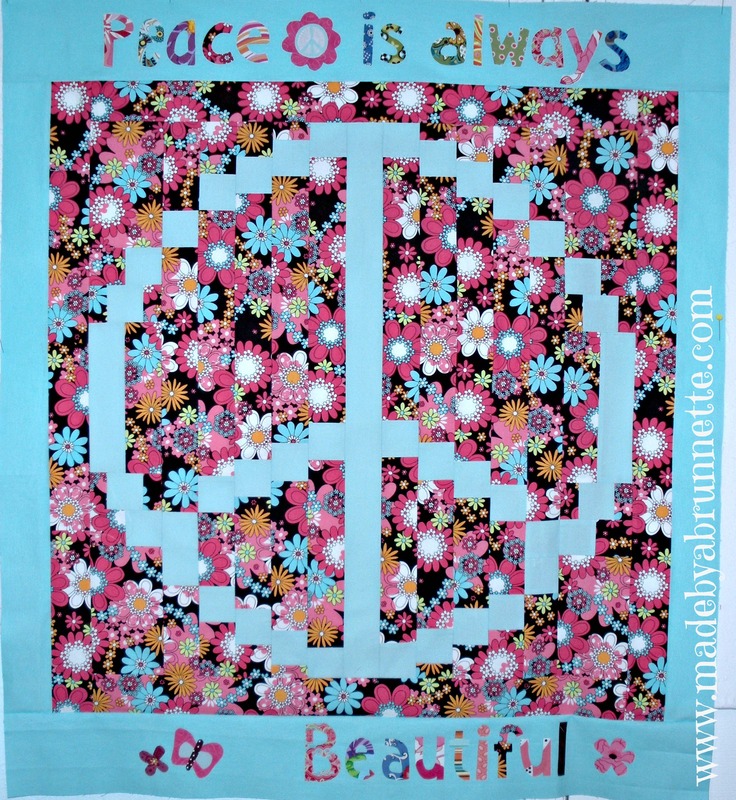 Rene has generously offered to give a PDF copy of the Peace Quilt Pattern to one of you lovely readers! 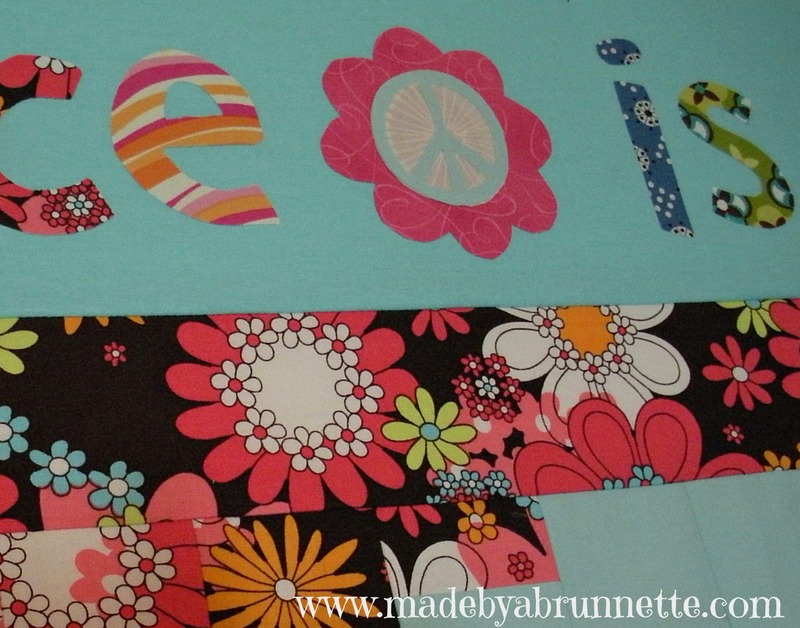 Just leave me a comment before Friday, February 1st ~ if you were to make a Peace Sign Quilt, what fabrics or colors would you use? 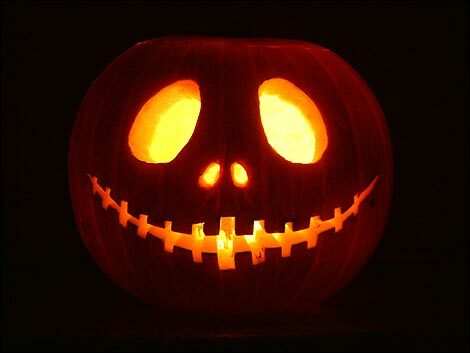 UPDATE: The winner of the pattern is comment #3, MarthaB! Friday, February 1 – Visit Rene’ at Rene’ Creates (http://www.renecreates.com for a give away!